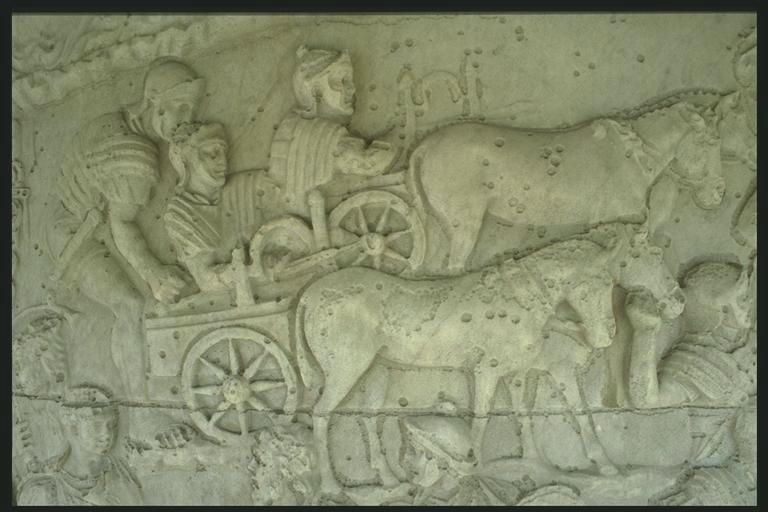 Trajan’s column gives a glimpse of life at war and war technology during Trajan’s campaign against the Dacians. One particular insight on the column shows the use of wagons and siege equipment specifically a carroballistae. This type of ballista was mounted to a cart with two eight spoke wheels and drawn by mules or horses. This is an assumed technological advancement allowing for mobile artillery. Richmond suggests that it is “much like a hopper-trailer of a modern field gun (13). The wagon was serviced by two soldiers. One soldier seems to be loading and the other preparing the torrsion propulsion system. The ballista was mounted on a cart were one man took position on the back to aim and fire the bolt while another solider likely wound the winch to create the needed tension for firing. Disputes amoung scholars has suggested the carts were only used to transport the ballistaes during the campaign; however, depictions on the column show the ballistaes loaded. This would have been a very dangerous way to transport them. Also, there is evidence that ballistaes mounted on carts or charriots have been seen on other forms of archeology (Wikipedia). The viewer must keep in mind that Trajan’s Column is monument to a victorious campaign on a monochrome stone medium. 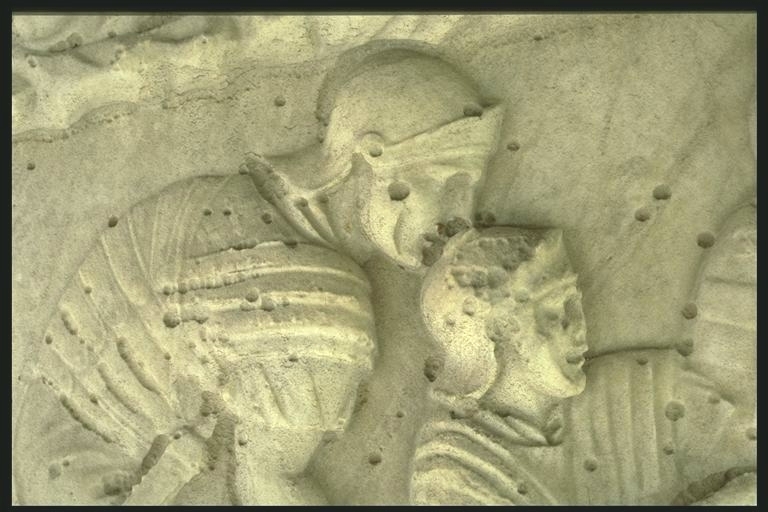 It was carved by a scuplter rather than a soldier. The portrayal of the soldiers are too simplistic to be a rendition of actual soldiers in battle. Evidence of this can be seen in the uniforms as well as in the incorrect representations of the ballista. The depictions are meant to be decisively recognized as roman. (Richmond, 14). “Carroballista.” Wikipedia. Wikimedia Foundations. Mar. 6 2011. Web. Mar 8 2012. Richmond, I. A. “Trajan’s Army on Trajan’s Column. : Papers of the British School at Rome. Vol. 13 (1935), pp. 1-40. JSTOR Web. Feb 28 2012. Rockwell, Peter. Soldiers above ballistae. Trajan’s Column. Photograph. The McMaster Trajan Project. 1999. 8 Mar. 2012. Web. Rockwell, Peter. Carroballistae. Trajan’s Column. Photograph. The McMaster Trajan Project. 1999. 8 Mar. 2012. Web.